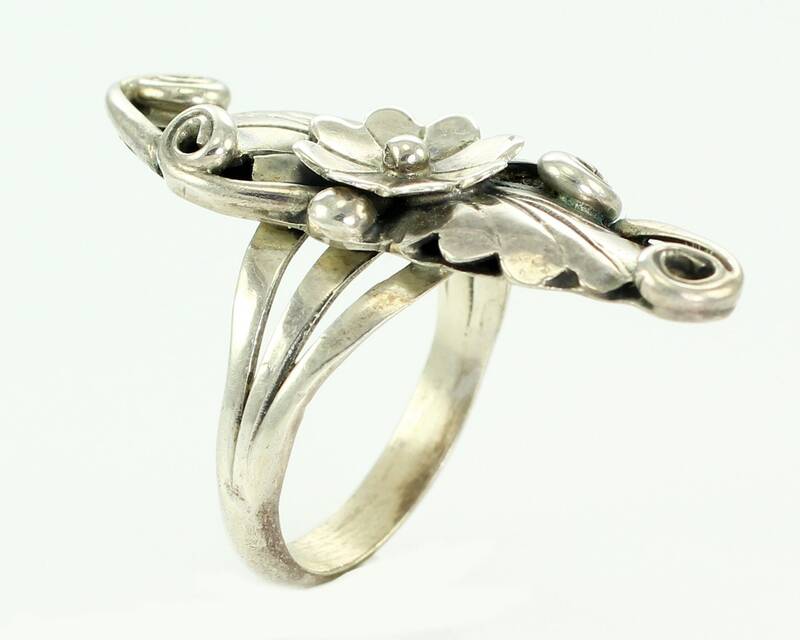 Vintage Sterling Silver Peyote Flower Ring by Boyd Benson Navajo. This elongated ring is beautiful on the hand, adding the appearance of long fingers to those of us not blessed with them naturally. 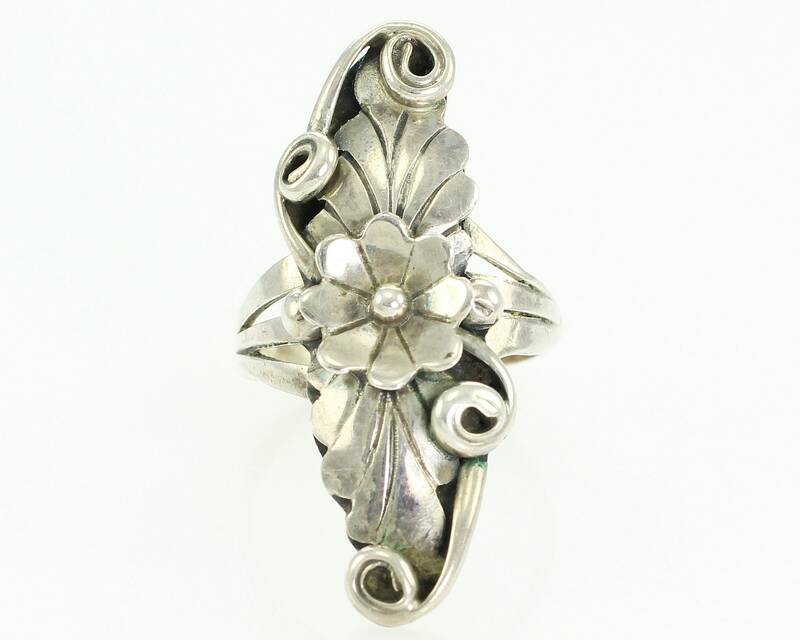 Two leaves, one peyote blossom, and four tendrils decorate the top of the ring, which is a size 7. 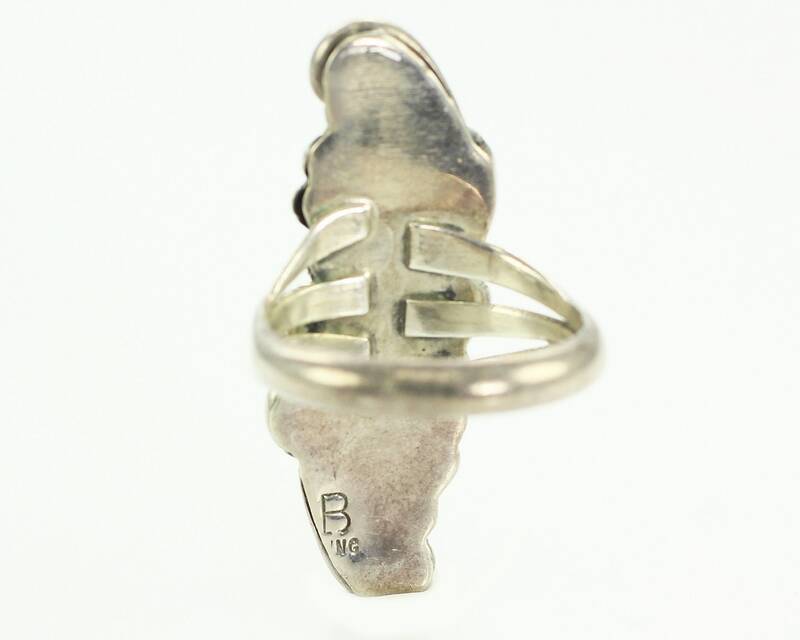 This ring is part of a large collection we purchased from a long-closed trading post. It was made in the 1970s and has never been worn. 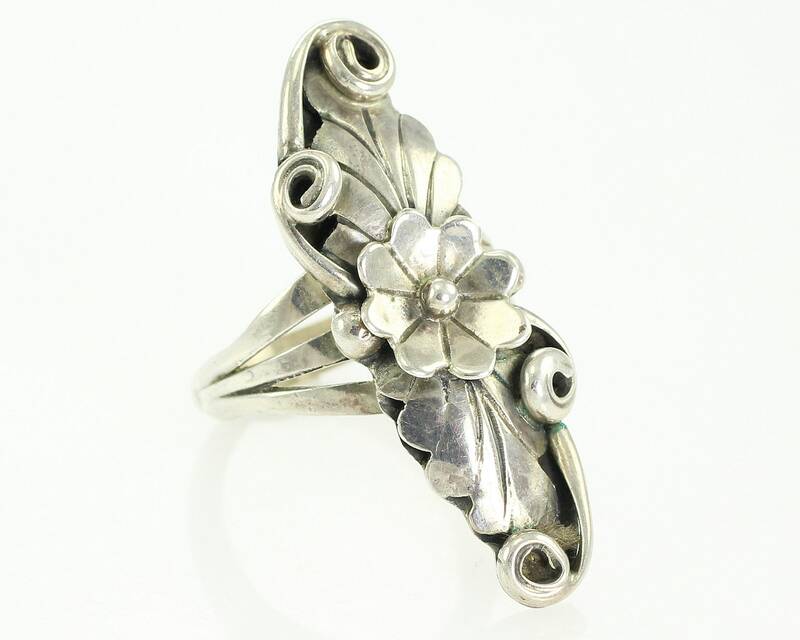 It is hard to find New Old Stock rings from this era and we are happy to have a group of them to offer. CONDITION: In excellent, unworn vintage condition. This is a New Old Stock item and was never worn.